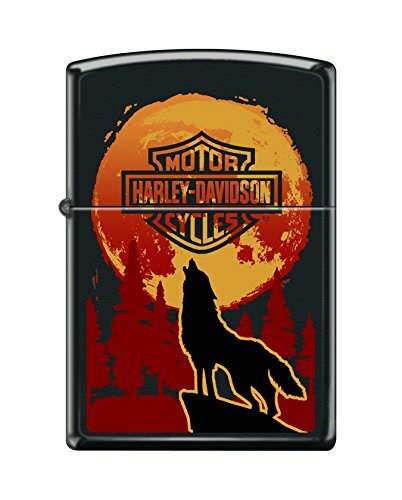 Howl at the Moon with this black matte windproof lighter. Color imaging is used to create a red and yellow gradient Moon with the Harley-Davidson logo at the center. Comes packaged in an environmentally friendly gift box. For optimal performance, fill with Zippo premium lighter fluid.